How should feeding routines change during a cat pregnancy? Growing multiple kittens inside her then producing enough milk to feed them all for 5 to 8 weeks takes an enormous amount of energy. By the last week of pregnancy, she needs up to 1½ times as much energy as before she became pregnant and, when her milk production is at its peak in weeks 3 to 4, she needs up to 3 times her normal energy supply. It is simply not possible for her to eat enough food to supply all the energy she needs to produce that milk so, from early in her 9-week pregnancy, she starts to build up extra reserves of body fat which she can then use to top up her energy from food during lactation. Because of this, she needs to be in peak condition at mating. If she is underweight, the unborn kittens can be smaller and there will be a higher risk of mortality when they are born. If she is overweight, the unborn kittens can be too big which can make for difficult births. 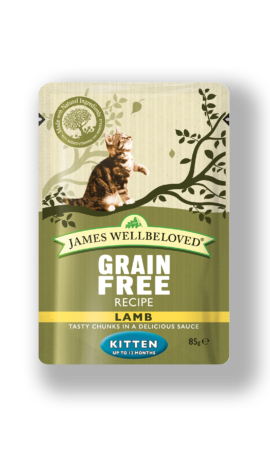 From the first or second week of pregnancy, she needs unrestricted access to a high energy food, and we strongly recommend that she has one of our Kitten foods throughout pregnancy and lactation. Make sure there is always food in her dish and that she can always get to her dish. The Kitten foods are high in energy and formulated to meet all the mother’s mineral and vitamin requirements during this time. 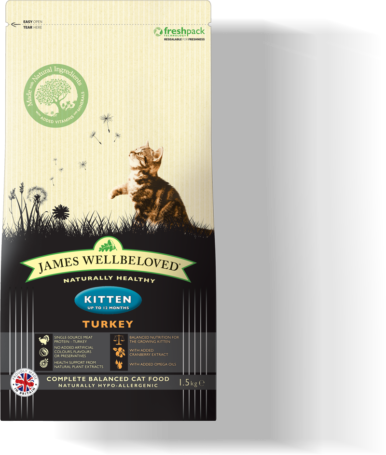 They also have the advantage of supplying the kittens with the correct food as they get close to weaning. When weaning is complete and the kittens are removed, the mother can be encouraged to stop producing milk by fasting her for a day then gradually building up to her normal allowance over the next few days.